April 2015 | Blankingship & Christiano, P.C. When your lenders report your credit history to various credit reporting agencies, this information is contained in your credit report. This information is then used to generate your credit scores, including your FICO Scores. If you are engaged in a credit dispute near Leesburg , you need to obtain a copy of your credit report and discuss its contents with your credit lawyer. Your credit report informs lenders what type of credit you’ve obtained by listing the types of credit you use, the length of time your accounts have been open, and whether or not you’ve made your payments on time. As a result, it provides lenders with a broader view of your credit history than data sources like a bank’s customer data. This report also tells lenders where you live, whether you’ve been sued or arrested, and whether you’ve filed for bankruptcy. 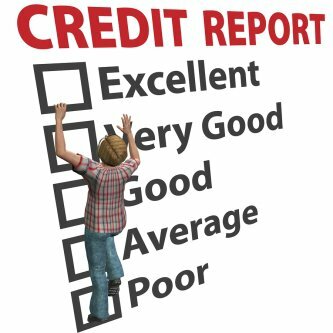 As a result, your credit report is a crucial piece of information when dealing with a credit report dispute or meeting with a credit attorney. Your credit report contains information of your borrowing activities, so it can help build your case when meeting with an identity theft lawyer. Credit scoring is useful because it combines all information about your financial history quickly, fairly and consistently. The three major credit bureaus are Equifax, TransUnion, and Experian. As these companies collect information on millions of borrowers, lenders will usually buy credit reports on you as a perspective applicant when making credit decisions. This means that your credit score affects your ability to obtain a loan, buy insurance, or rent a home. Each time you apply for a new line of credit, your creditor will request a copy of your credit report from one of the three credit bureaus. Your creditor will then evaluate your credit report, your credit score, and income or debt information to determine your credit approval and future interest rates. If this creditor approves you, your new line of credit could become a part of your credit report within 30 days. Employers routinely obtain consumer reports from third party agencies to conduct background checks on current or perspective employees. If these reports reveal negative information about an employee, the employer can use this as a basis for termination or denial of an employment position. For this reason, it’s important to properly handle a credit dispute near Leesburg . Under the Fair Credit Reporting Act, any employee or potential employee has the right to dispute information contained in his or her credit report. This video discusses the steps for disputing false information contained in a credit report. 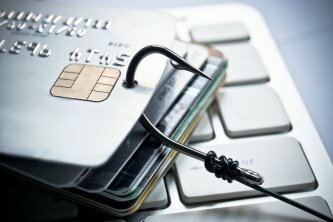 As is explained, a consumer must send a letter identifying why certain information is inaccurate as part of the dispute of the inaccurate credit information. The consumer could also contact a credit lawyer to ensure the credit agencies investigate the complaint within 30 days, as required by consumer law. Blankingship & Christiano is happy to review any letter that a consumer has sent to or received from a credit reporting agency. Please contact us for a review. If you’re in need of a highly qualified and experienced credit lawyer in Leesburg, look no further than A. Hugo Blankingship, III of Blankingship & Christiano, P.C. Mr. Blankingship began his distinguished career as a federal court litigator after receiving his law degree from the Marshall-Wythe School of Law at the College of William & Mary in 1986. He began working as a law clerk in the U.S. District Court for the Eastern District of Virginia before founding a consumer advocate law firm in 1993 that would ultimately become Blankingship & Christiano, P.C. with fellow credit lawyer, Tom Christiano. Mr. Blankingship has aggressively represented the rights of clients facing a variety of issues, from automobile fraud and construction litigation to credit fraud and abusive debt collectors. His other practice areas include consumer credit compliance, consumer collection defense, and truth in lending. In these areas and many others, Mr. Blankingship has argued his clients’ cases in both state and federal court, including the Supreme Court of Virginia and the Supreme Court of the United States. For his dedication to his clients, Mr. Blankingship has earned numerous professional awards and recognitions. In addition to being a top-rated lawyer by Martindale-Hubbell, Mr. Blankingship is a member of the Virginia Trial Lawyers Association and the Alexandria Bar Association.